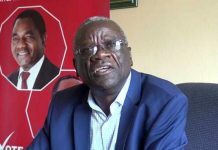 Opposition United Party for National Development (UPND) President Hakainde Hichilema has charged that Republican President Michael Sata has no message and agenda for the people of Zambia. 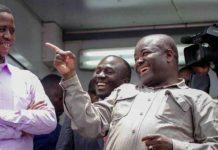 Mr. Hichilema says the move taken by President Sata today during Labour Day celebrations shows that he is not concerned about the welfare of the workers. 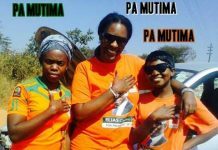 Speaking during the launch of UPND Youth Mobilization Programme which attracted hundreds of youths in Lusaka this afternoon, Mr. Hichilema says the youths at the moment are paused with a challenge due to the poor leadership of the PF. 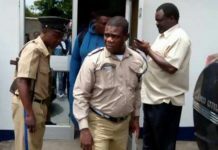 Mr. Hichilema states that it is clear in the minds of the youths that they were deceived by the PF that they will be given jobs as seen with most of them remaining unemployed. He says the agenda of his party is clear and that the first gift they will offer the youths of Zambia is free education for all. 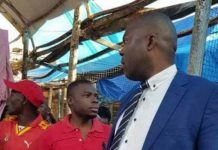 The UPND leader furthermore adds that it is unfortunate that poverty is at the peak now since Zambia got independence. He has maintained that the ruling PF has taken the rule of law and that the people should not give them more time and chance to destroy the peace of this country. So HH was busy spying on SATA and yet he was telling people not to attend? see nothing wrng with the president ‘s speech,very short with points.u wnted him to read the speech which cound ve made others start dozing. 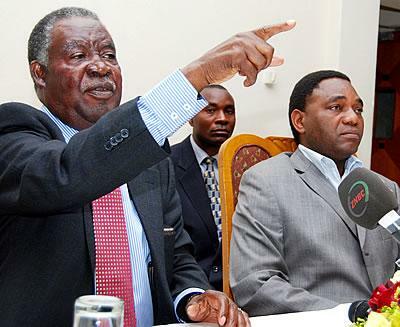 Hakainde Hichilema seemed to have nothing to talk about and only looks at H.E Mr MC Sata trying to figure out on what he, Hakainde in his wisdom or lack of it see to be wrong and bark about. What the president did today calls for a lot of reflection especially for level headed people. For the good for nothing people, If speeches were there, they would have found something to blame him on. Awe, we are tired of childish, hate and sadistic type of politics. He’s a coward this Harmony Hater. Speaking from dark corners. He the one who was discouraging people to attend, then he wants to pass comments. Shamefull man.